Getting to know my students and building a relationship of trust and respect is of utmost importance. For me, it would be difficult to teach them anything without building this teacher-student bond. With this in mind, teachers are often the people that a student will come to when they have problems. Every school has school counselors who are certified in counseling, yet the teachers are the people with whom students spend most of their time, even more time than with their own parents or guardians in some instances. I’ve learned that being a teacher is much more than simply teaching. Being a teacher includes the roles of teaching of certain academic subjects, counseling, parenting, and life guide for our students. In getting to know our students and their individual quirks and personalities, a teacher can much easier catch when they are “off”. When a student, or more than one student in the classroom is having an off day, this is the time to practice flexibility in our lesson plans. For example, not too long ago, there was a house fire in which a 7th grade student passed away. It was announced at lunch. When the students returned to the classroom after lunch, they were distraught. This was not the time to continue on with the lesson plan of the day. This was the time to be a guidance counselor, the time to talk, share feelings, and just “be there” for the kids. The day to day moments of our lives, and how we handle them, define who we are in the present moment. Which, brings us to the topic at hand. How does a teacher approach a student who is having an obvious addiction problem? First of all, if a relationship has not been built, a teacher may not even notice the student is suffering. Second, if a teacher has no background knowledge of addiction or alcoholism, they might not even know the student is suffering from drug/alcohol abuse. Third, all of the pep rallies and health classes in schools that rally against drugs and provide drug and alcohol education mean nothing is a student is already using. Saying “no” doesn’t work if they have already said “yes” and are caught up in that world. There are a few ways a teacher can go about helping a student with an addiction. If it is early in the school year, or if a teacher- student relationship has not clicked, a teacher can notify the school counselor and call the parents. It is much easier to help a student when they trust us and know we will be there for them. When a student knows that we care about them, they will be much more likely to open up and let us in on their life. When we see the signs of drug/alcohol abuse or addiction, such as slipping grades, behavior problems, sleeping in class, red eyes, weight loss, missing a lot of classes, etc., one way to go about it is to ask the student to see you after class. When approaching a student about their drug or alcohol use, do it in a safe environment, do not call them out in front of their friends or the entire class. That will lead to a shut down for sure. Speak to him/her one on one. Let them know that you care about them. Tell them that you have seen a decline in their grades, behavior, or whatever changes you have noticed within the specific time period. 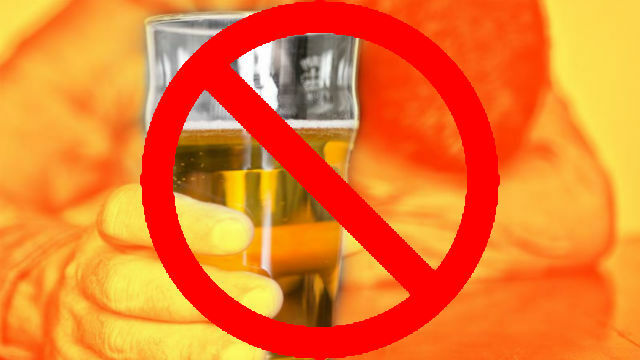 Most students, and people in general will not easily admit that they have an alcohol or drug problem, so do not be surprised if they deny that they have been using. When they do, just act like you believe them. You want to build trust. At this point, you can tell them that you are concerned because your brother, your friend, (or even yourself, but you may not want to disclose personal past addiction problems), or another person you love had an addiction to drugs. Tell them what happened. Share the story. This lets them know that you are not ignorant as to the signs of drug abuse. Sharing a story with them may get them to open up. If they don’t open up the first time you talk with them, continue every day to ask them how they are, and keep an eye out for any changes in appearance, behavior, and school work. Let them know that you will be there is they ever need to talk, and give the times that you will be in your classroom (during prep periods, or after school). Make calls home and notify the guidance counselor for extra support. Some steps a teacher can keep in mind when deciding how to approach a student that has an addiction problem are: Try to get the student to admit they have been using, or have a problem. Share what you know about the topic. Encourage and motivate them. Incorporate tools of recovery into the lessons. (When a student gets upset, have them breathe deeply, journal their feelings, walk it out, etc. There are many tools we can use in the class.